My girl needed a trim. And we have been talking about it for the last 48 hours. Mama: "Sydney will get a haircut." Mama: "Yes, Sydney will sit in chair." 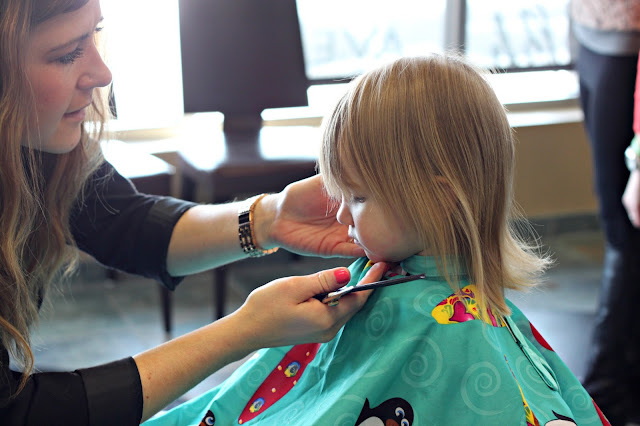 Like her mama, she already enjoys her haircut time. She can see again. And the back of her hair is now more even looking. She is still growing in on the sides. But our girl looks fresh, and sadly, a tad older. Ηі, i thinκ that i saω you visited my ωеbsіte thus i came tο “return thе favoг”. I am trуing to fіnd thіngs to enhanсe my website! I suppose its ok tο use some of youг ideas!! Awwww. Love that little girl.